We're looking for happy, creative, energetic, ambitious, and positive people to join our team.<br><br>At MezzeMe, we value positivity, transparency, humility, fanaticism, and thoughtfulness, and we want our teams to do the same. <br><br>Just a few perks for MezzeMe team members... <br><br>* Free meals <br><br>* No lame uniforms <br><br>*Paid Vocation Time<br><br>* No experienced required!<br><br>What are we looking for? <br>-Full-time & Part-time Front of House Team <br>-Positive & Upbeat Attitudes <br>-Team Players <br>-Strong Customer Service Skills <br>-Friendly & Welcoming people <br>-Weekend & Weekday Availability <br>-Consistently Punctual <br>-Is hardworking and driven <br>-This is more than a paycheck, this is a passion <br>-Is a team player <br>-We work together make our environments as vibrant as the food <br>-Wants to grow<br><br>We are always looking to improve, and we want you to help in that endeavor You Will Ring up transactions, collect cash accurately, and following MezzeMe’s cash handling policies and procedures Answer phones and responding to customer inquiries Train new cashiers Ensure our dining room, beverage station, and bathrooms are always clean and presentable Deliver exceptional customer service on each and every shift - Communicate clearly and effectively with customers and employees in English - To explain exact charges, or educate customers on their online ordering options We are committed to training and supporting each team member to help you reach your goals and to have you grow with us.<br><br>Other Benefits and Perks<br>NO NIGHT TIME CLEANING, we have external company that handles cleaning at the of the night<br>Free meals<br>Free drinks<br>Paid training<br>All team members may take advantage of flexible scheduling<br>Paid training, career advancement opportunities, and a positive work<br>environment. 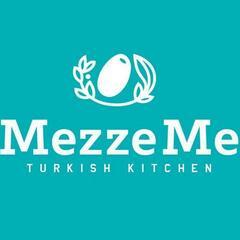 MezzeMe Turkish Kitchen is posting their hospitality jobs on Harri.